The Clere School is pleased to announce Louis Hirst and Dulciana Hart as its new Head Boy and Head Girl for 2016 /17. Louis and Dulciana will be supported by Deputy Head Boy, Aqil Zainal and Deputy Head Girl, Mae Wells. A large number of students from the year group applied for the much sought after position of Head Boy and Head Girl. The quality of applications was outstanding, and selecting a shortlist for interview was extremely difficult. All of the candidates interviewed were exceptionally strong and it was a very hard choice for Head Teacher Felicity Martin and the interviewing team. The successful candidates were selected as they were confident young people who epitomise the outstanding ethos of The Clere School. All students offered very positive ideas of how to become involved in the increasingly successful future of their school. 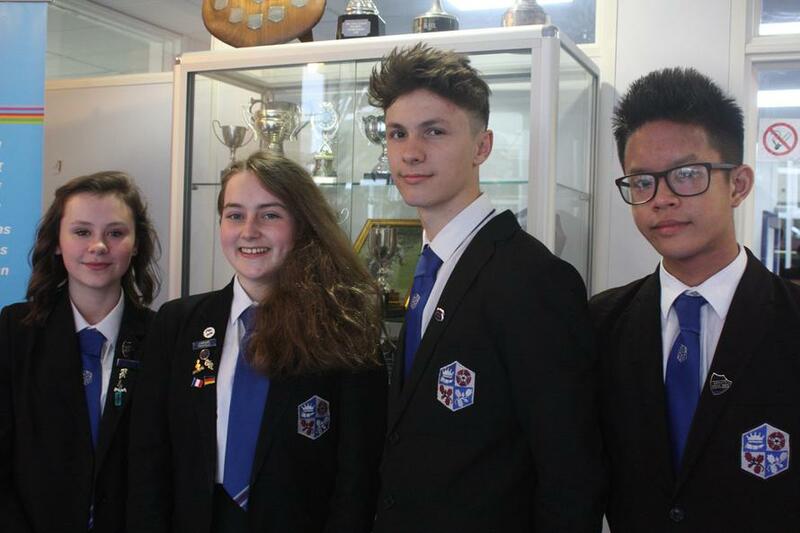 The Senior Student team will be supported by a team of senior prefects, selected to carry out a series of duties and work with the other year groups across the school.